Less is better as they say. In terms of make-up and skin care I always make sure that my skin is well moisturized and clean, being bare because of your skin regime is the best way to feel light and beautiful even with no makeup / less makeup. That is why I'm so happy that Althea Korea formulated their own skin-care essentials that we Filipinos can buy it at an affordable price. Products just consist of 3 steps. 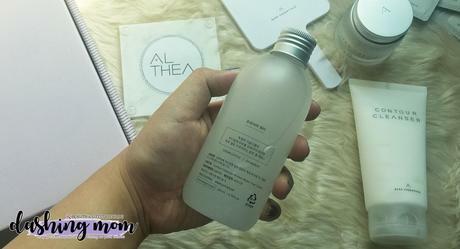 Who among you does the 7 steps Korean skincare, be honest it is so hard to follow and you need a lot of extra money to buy all of the 7 skincare items to be enable to get that no pore Korean look but then, here is a solution for you guys, Bare Essentials from Althea Korea! Here is my quick introduction to what you expect to these 3 items that I have. 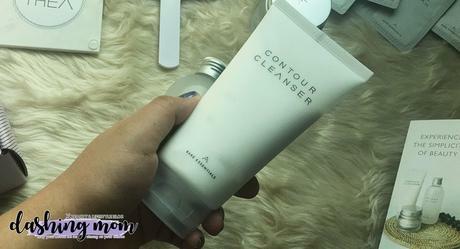 First is their Contour Cleanser, a product that is worth 300pesos will do many wonders for your cleansing session for your face. It has a foam-like texture with some microcapsules that gently exfoliate your skin. It contains Ice plant that Hydrates and calms redness around your face and Lemon myrtle that is Rich in vitamin C and antioxidants to strengthen the skin. Size : 200ml/6.76fl.ozPrice: 550 phpNext is Primer Water, has Snow lotus which Smoothens and brightens the skin while evening out its texture and Patented "dewdrop" formulation that Revitalizes the skin and provides immediate, effective moisture. It does wonders for your face that it smoothens the skin surface while hydrating it. 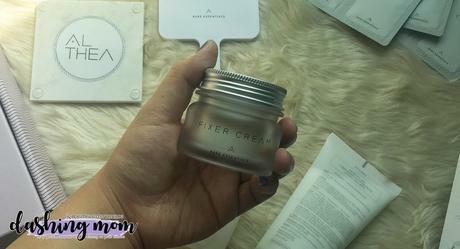 Lastly Fixer Cream, once applied on to the skin it deeply penetrates into the layer of the skin. It promises to have a 24-hour hydration. What's surprising about this one is it moisturize the skin without that sticky feeling.